July 1999: "I have been on my deathbed, and I'm not stupid. I can emphatically say I am not on drugs." Jan 2004: "I have never had a single positive doping test, and I do not take performance-enhancing drugs." July 2004: "We're sick and tired of these allegations and we're going to do everything we can to fight them. They're absolutely untrue." Nov 2005: "How many times do I have to say it? … Well, it can't be any clearer than 'I've never taken drugs.'" Jan 2011: "If you're trying to hide something, you wouldn't keep getting away with it for 10 years. Nobody is that clever." May 2011: "Twenty-plus-year career, 500 drug controls worldwide, in and out of competition. Never a failed test. I rest my case." "All the fault and all the blame here falls on me. I viewed this situation as one big lie that I repeated a lot of times. I made my decisions. They are my mistakes, and I am sitting here today to acknowledge that and to say I'm sorry for that." "I think this just ruthless desire to win. Win at all costs, truly. Serves me well on the bike, served me well during the disease, but the level that it went to, for whatever reason, is a flaw. Then that defiance, that attitude, that arrogance, you cannot deny it. " I don't know that I have a great answer. I will start my answer by saying that this is too late. It's too late for probably most people, and that's my fault. I viewed this situation as one big lie that I repeated a lot of times, and as you said, it wasn't as if I just said no and I moved off it"
The Tolkien name was derived from German. Tolkien (who was fascinated with languages said the surname came from the German word tollkühn, meaning "foolhardy"
Tolkien was born in Orange Free State, South Africa, but moved to England aged three. When he was a baby, the young Tolkien was kidnapped for a day, by a house boy, who was captivated by the baby. 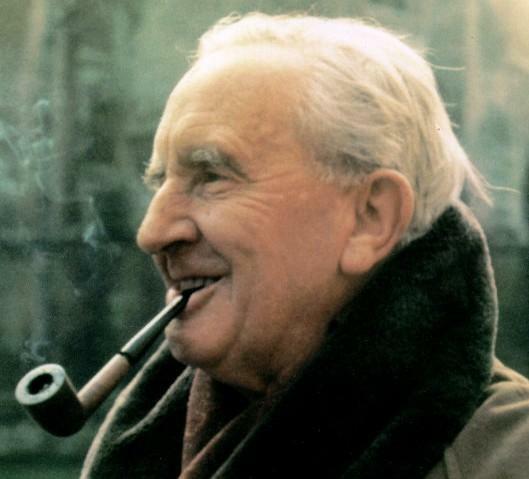 Tolkien became a Catholic in 1900, this caused a family rift with his Baptist relatives. Tolkien remained a Catholic throughout his life. 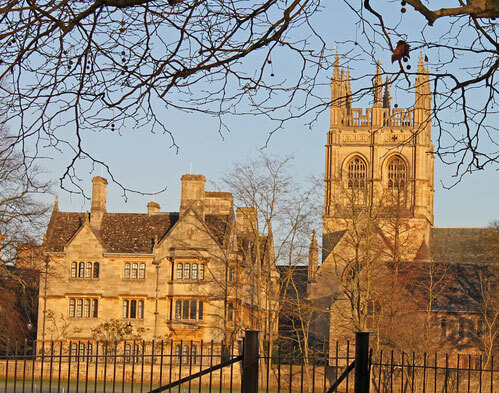 C.S.Lewis credits Tolkien with his decision to become a Christian in the 1930s. Aged 16, he met his future wife Edith. But, his guardian Father Francis Morgan prohibited Tolkien seeing her until Tolkien came of age, aged 21. As a young student at Exeter College, Oxford University, he spent his first few years often getting into debt trying to keep up with richer students, who had more disposable income. Tolkien admits he had a great love of beer and talking into the early hours of the morning. Initially, Tolkien studied the classics but switched to English Literature when he found he could study Middle English. Tolkien served as an officer in the Battle of the Somme. Tolkien said his character of Sam Gamgee was based on the ordinary soldiers who he commanded and who faced so much hardship without rancour. The first work that Tolkien wrote was The Silmarillion; this wasn't published until after his death and was revised at different periods throughout his life. In 1918, he got a job working on the Oxford English Dictionary, which had begun in 1879. Tolkien was saved from further fighting through developing trench fever. Though he later recalled that most of his friends died in the First World War. Tolkien was a great lecturer. When giving lectures on Beowulf, he would often startle students by exclaiming in Anglo-Saxon and speaking in the manner of an old bar. W.H.Auden later said, he thought the voice of Tolkien giving lectures, was the voice of Gandalf! The Hobbit was written initially for his own children. The first famous lines to the hobbit were written down on a blank, empty exam paper he was once marking. 'In a hole in the ground lived a hobbit"
When agents from Nazi Germany wished to translate the Hobbit into German, they sent a letter asking to prove he was 'Aryan'. Tolkien gave a scathing reply, saying amongst other things that he wished he had Jewish ancestors. Tolkien had a dislike for cars and spent most of his adult life relying on bicycles and trains. He had a particular love of the Oxfordshire countryside and was dismayed when it was covered with new roads. When an American company published an authorised copy of 'Lord of the Rings' It became a best-seller. But, because Tolkien maintained a long correspondence with many fans, he helped to encourage people to boycott the pirated copy. This boycott proved successful and eventually, the company made a donation to Tolkien and dropped the edition. Tolkien left a significant body of work unpublished, which his son Christopher Tolkien later published. This included The Silmarillion, The History of Middle Earth and Unfinished Tales. Initially, Tolkien only wanted The Lord of the Rings to be published alongside the Silmarillion, almost going to another publisher. Tolkien credited the works of William Morris as being a great inspiration. One of his favourite sayings was: Never laugh at live dragons, Bilbo you fool! Why is the Lord of the Rings so popular? Two of the greatest players of the modern generation, perhaps of all time. Cristiano Ronaldo vs Lionel Messi At another time, Cristiano Ronaldo or even Iniest could have been good enough to be the greatest player, but who can compare with Lionel Messi? When the Duke of Wellington was asked who was the greatest general of all time. The Duke did not hesitate to say of his great rival. In this age, in past ages, in any age, Napoleon!" Who is the greatest footballer of all times? In this age, in past ages, in any age, Messi! "Messi has his personality and I have mine. He has his game and I have mine. I also play in a big club like him. We are different in every aspect. But right now, he is the best." "Once he's on the run, Messi is unstoppable. He's the only player who can change direction at such a pace. He is the best player in the world by some distance. He's (like) a PlayStation. He can take advantage of every mistake we make." To choose the greatest Indian people is difficult. No country has such a long and rich history, stretching back into the Vedic times. There are a few difficulties in deciding what actually constitutes India. Since ancient times, the nation of India has been fluid with changing boundaries. I have chosen a liberal interpretation of what constitutes India and have included some of those who made India their adopted country. Ranking these inspirational people seems a little fruitless. You could easily argue for different people and a different order. But, these are some of the most inspirational Indians. 1. Lord Buddha - Founder of Buddhism. Gave up the comforts of being a Prince in a palace to seek enlightenment in the forests. After gaining the experience of Nirvana, Lord Buddha spent many years travelling India teaching his philosophy of enlightenment and peace. 2. Sri Aurobindo - One of the key figures in the early Indian Independence movement, Aurobindo argued for nothing less than full independence. He retired from politics to devote the remainder of his life to spirituality in the French enclave of Pondicherry. Become one of the greatest poets, philosophers and Spiritual Masters of the twentieth century. 3. Swami Vivekananda - The indomitable spirit of Swami Vivekananda awoke in his fellow Indians a renewed sense of pride and self-belief. Vivekananda embodied both the spirituality of ancient India and the dynamism of the West. He became renowned in the West after his inspirational message of Religious tolerance was heard at the World Parliament of Religions 1983. 4. Mahatma Gandhi - The foremost political leader of the Indian independence movement. For over two decades, Gandhi strove for a peaceful overthrow of British rule. Inspired millions with his philosophy, resolve and commitment to independence and also to alleviate the plight of women and the 'untouchable' caste. 5. Sri Krishna - The hero of India's classic - the Bhagavad Gita. It was Sri Krishna who taught to Arjuna the sublime philosophy of yoga contained in the Gita. It was Sri Krishna who brought religion and spirituality to everyone. Sri Krishna also developed a new path of yoga - bhakti yoga, the yoga of devotion. 6. Akbar - The Great Moghul Emperor who united India and became a beacon for religious tolerance. Akbar took great interest in all aspects of his government and introduced laws which were very enlightened and progressive for his time. 7. Jawaharlal Nehru - The first Prime Minister of an Independent India 1947. Nehru became a very well respected international statesman who steered his country through the difficult period following independence. 8. Rabindranath Tagore. The Seer-Poet of modern India. Tagore was the first Indian to be awarded the Nobel Prize for Literature in 1913. A consummate poet, composer and artist. Returned his knighthood in protest at the mistreatment of Indians by the British. 9. Mother Teresa. Mother Teresa was born in Albania, but, she made her home in the slums of Calcutta. Her compassion and selfless service to the underprivileged of India and the whole world slowly won the hearts of her fellow Indians. 10. Ashoka - One of the greatest Indian rulers of all time. Ashoka the Great ruled from 269 BC to 232 BC he embraced Buddhism after a bloody battle and became known for his philanthropy, and adherence to the principles of non-violence, love, truth and tolerance.